It wasn’t so long ago that kids who got the “new” Nintendo 8-bit gaming console or the Sega system for Christmas were the envy of every less fortunate and burned out Atari owning neighborhood playmate. As time elapsed, Super Nintendo, Sega Genesis, and NES’s Turbo Graphix 16 became all the rave. Anyone now in their twenties can recall being impressed by the awesome advancements in playability and graphic display of the Nintendo 64 and Sega’s Dreamcast system, and even more recently (only five or so years ago) the advent of Microsoft’s Xbox, Nintendo’s Game Cube, and the Play Station by Sony. 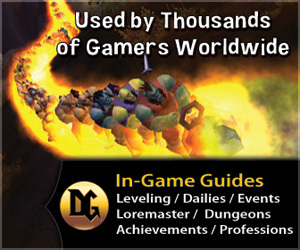 The Video Gaming industry has made great strides in the past twenty years: from slow-moving, barely recognizable forms on screen in original Atari games such as Pac-Man, Calga, and Tron, to the extremely vivid and life-like graphics of Tomb Raider, Splinter Cell, and Tekken; available for the Xbox and Play Station. Now, just in time for Christmas 2005, Microsoft has made the next move in the continuing race for Video Gaming Supremacy with the introduction of the Xbox 360. The result is truly phenomenal. 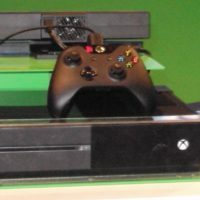 The Xbox 360, as with all video game consoles, is basically just a computer with hardware and software dedicated to the function of running video games. The original Xbox was pretty much just a Microsoft PC with a modified Pentium III processor, some powerful graphics and audio capabilities, and a modified version of the Windows 2000 operating system, all packaged in that distinctive black box. 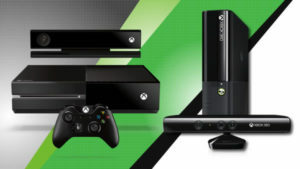 This year Microsoft has released two versions of the Xbox 360: the Xbox 360 and Xbox 360 Core System. The Xbox 360Core System is “plug and play”, that is, that in addition to the console, it includes an integrated controller and an AV cable. The Xbox 360 (not the “Core system”) comes with a wireless controller, an HD AV cable, an Ethernet connectivity cable, a headset, a media remote, and a removable 20-GB hard drive. For anyone who thought the original Xbox was a technological marvel, you must try this out! As amazing and realistic as the play on the first Xbox was, the Xbox 360 makes its predecessor look tired and worn-out. Microsoft has rebuilt the Xbox from the ground up. From the name to the look, from hardware to features, the Xbox 360 is a radically different and more powerful machine than the original Xbox. 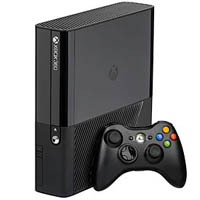 Far more than a video game console, the Xbox 360 is a total media center that allows users to play games, network with other 360 owners; rip, stream and download all types of media, including high-definition movies, music, digital pictures and game content, as well as play DVD movies and audio CD’s. The Xbox 360 will revolutionize the gaming world. Microsoft has definitely set the new standard in video game technology.